I’m not Zura; I’m Katsura. Based on the hysterical Weekly Shonen Jump manga about a futuristic Edo Japan, this film adaption released in Japan on July 14th and earned 980 million yen ($8.9 million) in just four days. A sequel labelled “Part 2” will be arriving next summer, and a live-action special adapted the Okita Mitsuba arc. The Gintama manga is set to end next year, although the anime is currently playing catch-up with the Porori Arc. Thankfully, Crunchyroll is still streaming the anime for free, so you won’t have to resort to any dubious means of watching. 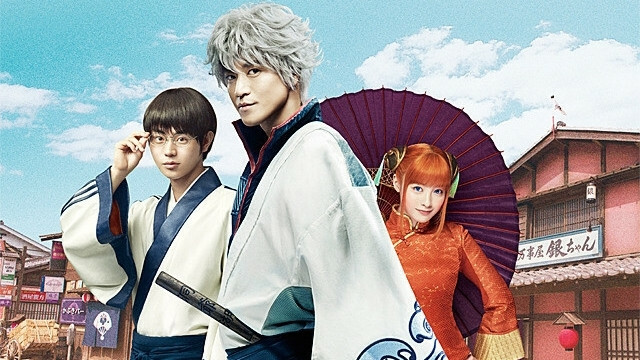 Will you be picking up the Gintama movie? Let us know in the comments below! The Hey Poor Player team gets together to catalogue ten of the beat-droppingest, pop-lockingest musical marvels ever to grace gaming.